Dancehall fans can expect an interesting and entertaining video, with a creative difference in the release of the Rolling music video, featuring female Dancehall sensation Shenseea and Grammy Award winning artiste Sean Paul. The new single was released last month and the two shot the music video for the track Wednesday, October 25, in Kingston, Jamaica. Shot and directed by popular director Rogen ‘Ruption’ Walker (and the RD Studios team), the set, make-up, and wardrobe of the dancers will be highlighted in the craftsmanship of the editing which is certain to prove thrilling to fans. Shenseea left the island on Thursday, October 26, for what is being dubbed as the #ShentoberFest which will see her at a number of shows in Nassau, Abaco, and Freeport in The Bahamas. Shenseea, along with Chi-Ching ching will then join Sean Paul on his #SPRollingEurope Tour which will take the three Jamaican entertainers to Manchester, Birmingham, London, France, Luxemburgh, Netherlands, Denmark and Germany throughout the month of November. 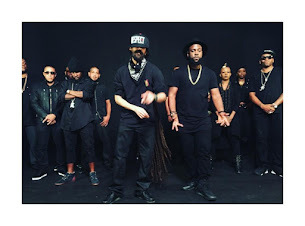 Fans can look forward to the upcoming release of the Rolling music video featuring Sean Paul and Shenseea.